Arsenal have welcomed back Lucas Torreira to Premier League action after his lengthy absence from the scene. The Uruguayan international has not featured in the Gunner's last three league fixtures owing to a red card he was shown during the most recent North London derby that ended in a 1-1 draw. Torreira came on as a substitute in the second half of the encounter only to be sent off by referee Anthony Taylor for a late challenge on Danny Rose. An appeal forwarded to the Football Association by Arsenal was dismissed and the highly-rated midfielder had to serve a three-game ban. The 23-year-old has since missed matches with Manchester United, Newcastle United and Everton. He has completed his sanction. 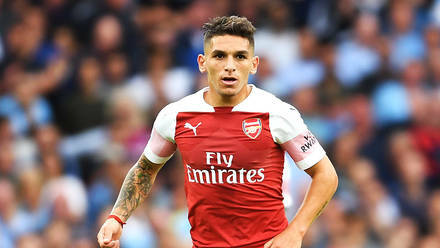 There is no denying that Torreira has been greatly missed in the team. The first two ties he was not available for ended in 2-0 wins, so it was not so obvious his services were lacking until when we made a trip to Goodison Park where we blew the chance of claiming third spot. Now that he is back, we expect that he will help in reviving Champions League qualification hopes even if Xhaka is still out through injury.